Hands down, the biggest damage we see to San Antonio homes/businesses are the results of hail storms and water damage. With that in mind, let’s look at a few details of roofing and siding. 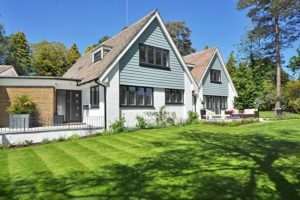 Of course, in many cases, insurance is involved in these repairs/replacements and may give you more or less wiggle-room in your budget, depending on the specifics of your situation. 1. You want to repair a damaged section of your roof. 2. You decide to replace your entire roof. Selecting roofing material may seem like a daunting task, but it really comes down to personal preference; there is no significant difference in durability between materials like composite and architectural, though cost -wise the dollar signs will go up or down, depending on your choice. 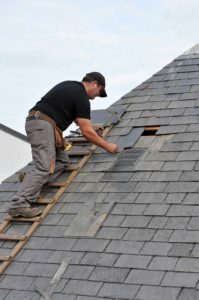 Keep in mind that all types of roofing have a lifespan, but typically will be replaced before their lifespan is over – shingles will usually outlast the roof itself. Traditional composite: typical lifespan is 25 years and the cost is lowest, compared to other materials. This roof is probably the one protecting your parents’ house, as these have been around for some time. Straightforward and durable, this is the picture most people envision when thinking of a new roof. Architectural (3D adds texture): typical lifespan is 35 years and costs a bit more. These shingles will look nicer longer, as the design’s dimensional aspect will hide some of the natural wear. Their 3D appearance is created by two layers of material bonded together. In the current market, 3D architectural shingles are the most popular. Metal: typical lifespan is up to 50 years, and cost is the highest. Despite its longevity, metal can still be damaged by storms, especially hail. 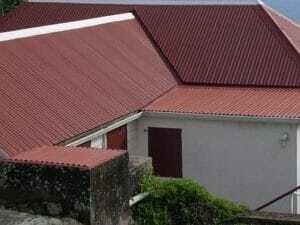 Metal roofing is available in two thicknesses, with the thinner equating to easier installation. Harder to install, the thicker, seamless metal will add the most value to your home. Keep in mind that the cost of roofing projects can vary depending on things like the roof’s slope and accessibility. Both factors may involve advanced preparation and safety equipment on the laborers’ part. Speaking of storms… Storms mean rain, and rain may mean adding gutters to your house. 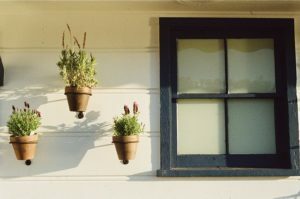 Gutters are a very optional addition to most homes in San Antonio. Here’s where they are not an option, but a necessity: if there is wet soil around your home that could affect your foundation, you’ll definitely want to install some gutters to redirect the moisture away from the house. When a house settles on damp/wet soil, the foundation can shift unevenly. This can cause a lot more problems that are way beyond the “should we or should we not get gutters?” question. Vinyl (Plastic) – is light, durable, and looks great. Vinyl is also the most common material these days. Depending on the color/texture, your guests may think it is real wood, brick, or stone! Things to consider: proper installation is key in avoiding water damage. It can puncture if hit by flying debris from a lawnmower or snow blower and if damaged, entire panels will need to be replaced. Aluminum – provides better insulation than vinyl, and is not susceptible to damage from cold temperatures. Mold and mildew do not grow easily on mold and it is insect and fire-resistant. However, it will more easily sustain dents from hail damage. Some people don’t prefer the appearance of aluminum, and replacing panels can be a challenge when colors have faded from the weather/sun. Stone and brick – are the strongest and most durable, but they’re also the most expensive. Stone and brick veneers can be more cost-effective options for creating a natural look with a wide variety of colors. Depending on the material, different levels of maintenance will be required. Both veneers have advantages and disadvantages, and we can discuss these further if you’re interested in more specifics. We know how important it is to have a good roof over your head. And no one can overestimate the benefits of quality siding, both in efficiency and protection. 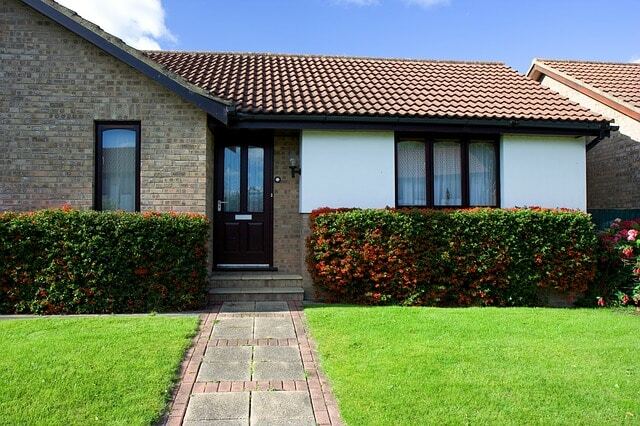 Whether you’re dealing with exterior storm damage or it’s just time for an upgrade, let us know how we can help!